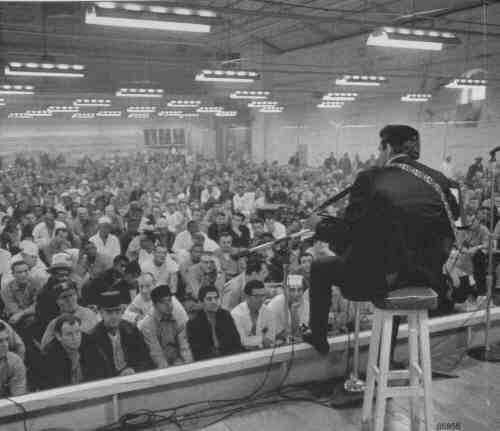 On January 13, 1968, in a landmark concert, country music star Johnny Cash performed in front of 2,000 inmates at Folsom Prison at Folsom, CA. Backed by the Tennessee Three and accompanied by June Carter, Carl Perkins, and the Statler Brothers, Cash performed in the prison cafeteria. The concert was recorded as a live album and was a worldwide hit. Cash's choice to play to the prisoners cemented his reputation as a hero to the downtrodden.